I love to watch this TW-drama for me. Would you like to subbed the weekday TW-drama Dowry? Please help us. I love this TW-drama for me. Please subbed the TW-drama Dowry and i want to subbed on it. I love this weekday TW-drama for me. Does anyone know if ep 35 is going to come out today? Very nice episode for me. I love this TW-drama just for me. Please subbed this TW-drama Downy, please subbed on it. I recommended this TW-drama just for me. Thanks for all of you to upload on it. Thanks for updating with us. Thanks for watching with us, see you next time. What a nice TW-drama for me. There’s no English subs out there, but they want to help theme, please help us. i enjoy this drama but unfortunately downloader stop to broadcast in our country. go to their youtube, you should be able to watch it still? I love to watch on it. Thanks for uploading with us. I love to watch this weekday TW-drama just for me. Thanks for your appreciation. Thanks for all of you to watch on it. Thanks for all your uploads for this week and thanks for all of you to upload on it. Thanks for watching with us. I hope that you watch it, thanks so much. Thanks for all your uploads for this week, thanks for all of you to upload on it. I love this weekday TW-drama just for me. I’m enjoy this TW-drama and I love to watch it. Thanks for all your uploads, thanks to you. I hope that you like it, thanks so much. I really loved this TW-drama and I love it. 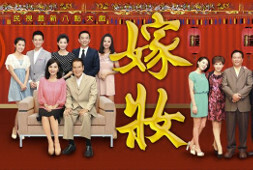 I always watch this TW-drama every Monday to Saturday on FTV (Formosa TV) and I love to watch it. Pls tell me about the hokkien songs title. Thank you! Thanks for this episode, I hope that you like it. Thanks very much. What a nice episode for me, thanks. Thanks for uploading with us, thanks so much.